Transform your old smartphone into a fun and educational playground for children. 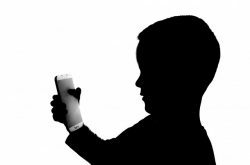 By loading it with games, educational apps and stories, a child can own a personal treasure trove of wonders. When you donate your phone to a charity, it will generally be sold to a phone recycler, and the charity will use the proceeds to help others. Cell Phones for Soldiers accepts donations of gently used phones and sells them to ReCellular, a phone recycling company. The proceeds are used to buy calling cards for soldiers. Using recycling waste services helps people to be environmentally responsible. Republic Services’ recycling services divert enough fiber materials to conserve more than 41 million trees each year, so you know you’re recycling needs will be taken care of. The National Coalition Against Domestic Violence (NCAD) also collects used phones and works with a recycling organization to collect funds to support NCAD. 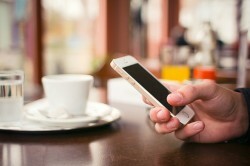 Approximately 60 percent of the phones it collects are resold after they have been refurbished. The other 40 percent are recycled. When you mail in three or more phones, you can get free shipping. Ebay is a popular place to sell your old device, and you can get an excellent idea of how much you can make by looking at sold items like yours. 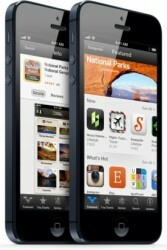 USA Today predicts that there will be a hoard of sellers with the iPhone5 release. They recommend waiting until the market is a little less flooded to sell. Gazelle is a company that buys used phones. Their offers are based on phone condition, phone carrier and other factors. 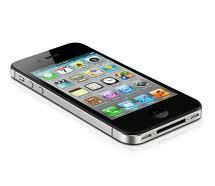 Recently a Verizon 32 gigabyte iPhone 4S was selling at $237 in good condition and $90 in broken condition. Glyde.com is a phone reseller that specializes in speedy sales. Recently sales records showed the 4S described above selling at $325 to $350. Trading your phone at Game Stop can be lucrative. You get as much as $268 in cash or $335 in store credit, when you trade in the Verizon 32 gigabyte iPhone 4S. Use your old phone as a platform to stream music and listen to online radio. Subscribe to Pandora or Spotify, invest in a speaker dock and enjoy a new stereo. Listen to SoundCloud and enjoy online radio with TuneIn. Use your old iPhone as a camera. It has its own storage and can be used to move images from one computer to another. Recycle with Apple and get a discount. ABC News reports on Apple’s environmentally-friendly recycling program, stating that the program provides consumers the opportunity to dispose of any manufacturer’s mobile phone in an eco-conscious way. When you bring your old iPod to an Apple retail store, you can get 10 percent off the purchase of a new iPod.